How to Fix Broken Compact Powder, Highlighter, Blush and Eyeshadow? 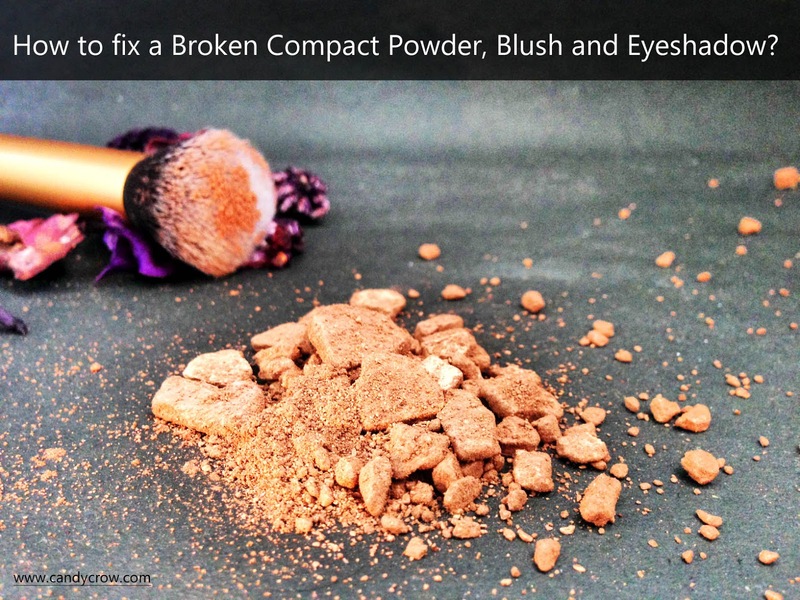 Have you broken your favorite makeup compact powder or blush, don't worry I will show you "How to fix your broken compact powder, blush and eyeshadow?" Give it a try before throwing the product away; it is an easy breezy task, and you need few inexpensive products to accomplish it. 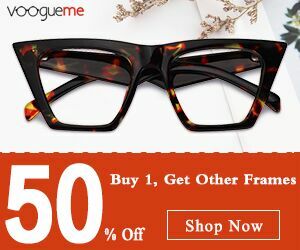 If you want to get silk smooth hair at home without parlor visit check this article, How to get smooth and silk hair at home? 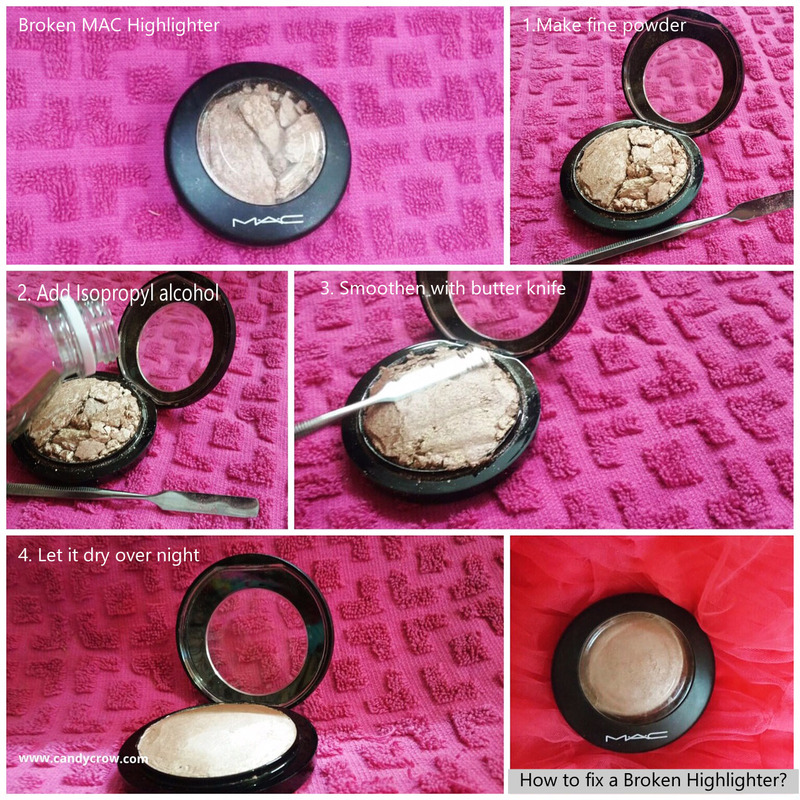 In this "How to Fix Broken Powder, Highlighter, Blush and Eyeshadow tutorial", I will show you guys How I have fixed my broken MAC highlighter and Revlon photo ready compact powder. How to Fix Broken Powder, Highlighter, Blush and Eyeshadow? 3. Smoothen the powder with a butter knife. 4. Fold a paper towel and blot the excess alcohol carefully. 5. Let it dry overnight. 6. Tada! You have fixed your broken makeup product, and it is as good as new. *If you have added excess alcohol don not fret, it will evaporate. *Wipe away the product sticking to the corner of the container. *If you want to speed up the process of drying use a hair dryer. *Fixing process can be messy, have some paper towel handy to clear up the mess. 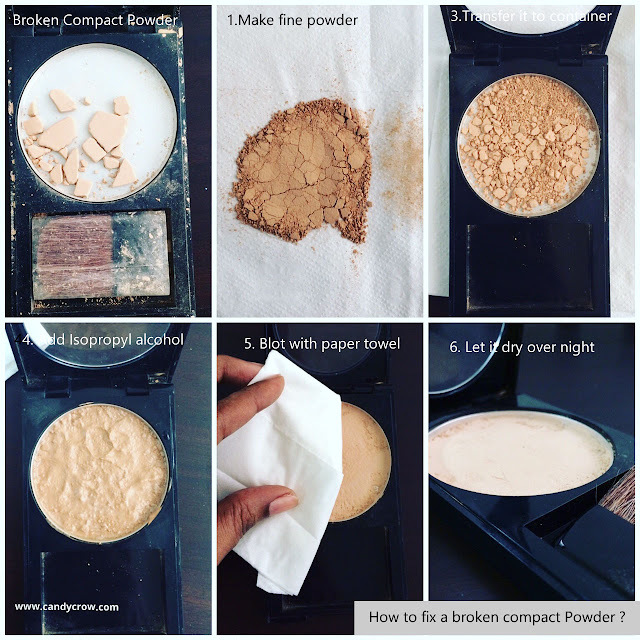 Have you ever tried fixing your broken makeup product?